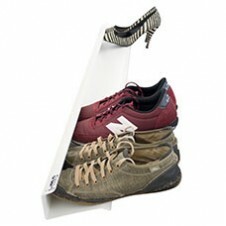 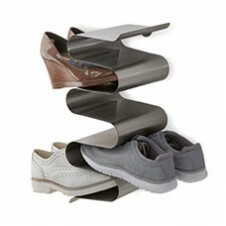 since 2005 j-me has been offering the world a modern, stylish and convenient way of storing shoes. 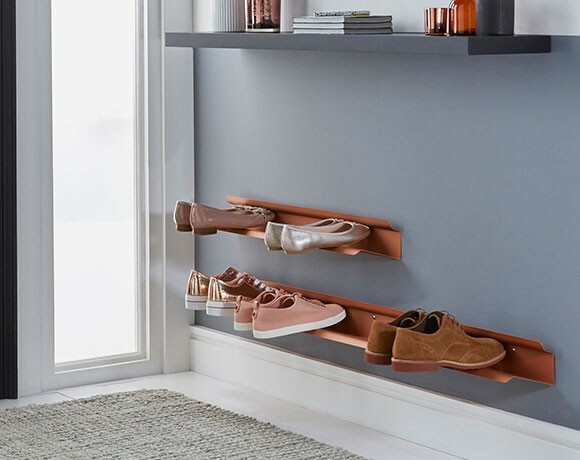 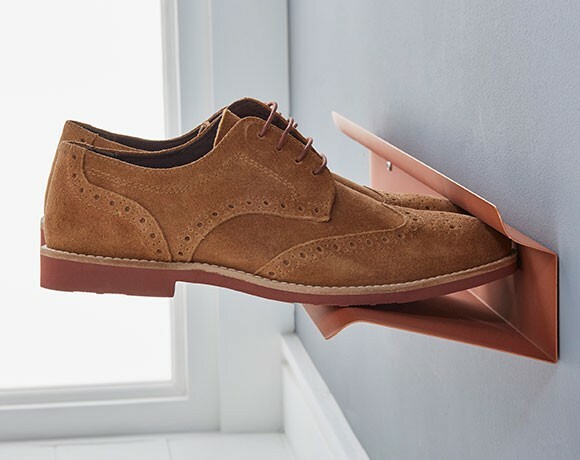 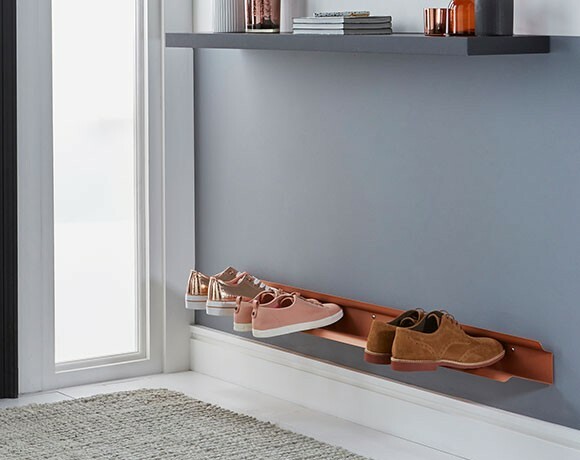 the horizontal shoe rack gives the appearance that shoes are floating. 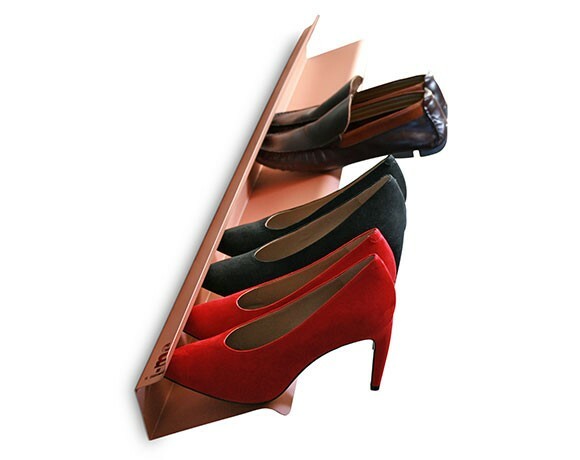 now also available in a copper finish version for an even sleeker and more elegant look.